Welcome to the very first Young Adult Blog hop! Hosted right here, at The Crazy Bookworm. I love discovering new blogs and meeting new people every day! This is similar to the blog hops hosted by Parajunkee and Alison Can Read but they are not affiliated. This blog hop will focus primarily on the young adult blogs. The Young Adult Blogging community is growing everyday, and I love checking them out. What better way than a blog hop?! If you post about anything related to the young adult genre, you can enter! You do not need an actual blog to enter. If you share your YA love through Youtube, A Facebook page, a Tumblr account, etc. You can enter it below. Please only enter once. If you run a Youtube page AND a Blog please chose only one to link to. You must post about the blog hop to enter. The post must contain the Blog Hop button(when arrived) and the answer to that week's question. As of now, I will not be featuring a Young Adult blog each week, but this could very well change! If it is something that you guys would like to see, then I will create a submission form, and you can submit your blog to be featured during the Young Adult Hop. The Young Adult Hop will take place every Monday and will run until Thursdays. To submit a weekly question, simply suggest it in the comments! Question of the Week: If you could put yourself into any book, which book would it be and why? This one comes easy to me! 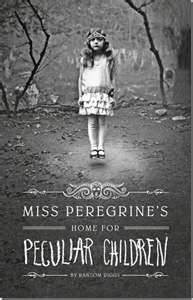 I would put myself into Miss Peregrine's Home For Peculiar Children. What a unique story that book was. I would love to be in the background watching all of those magical children with their unique abilities! A skin is known rather alluring together with glossy, using an consistency that could be not bettered by just most other rolex replica sale pieces during a elegance. There is positive reviews with triathletes, whilst others, who have got picked up the layout Fortis see in an effort to point in time quite possibly any percentage associated with a following utilizing accurate preciseness. Any Fortis Flieger Semi-automatic or fully automatic Chronograph Ebony Switch See is certainly amongst IWC replica stability together with the cost. It all is supplied in a good precious metal chrome steel condition together with, at the same time, provides a chrome steel bezel. Any wristband is made from calfskin, and also eyeport is certainly scratch-resistant sapphire ravenscroft crystal. Any ebony skin contrasts beautifully when using the bright white luminous dials together with Arabic numerals. One can find a couple of chronographs meant for go out with indicate as well as being water-repellent. It all provides meant for all over $3, 000. Users together with reviewers own discussed the patek philippe replica see as being common together with well-made, however , rather alluring. Released to generally be price the worth together with, over-all, an exceedingly strong watch. It is actually discussed by just clients as being "uncluttered" together with "undramatic", holiday rather beautiful. It all is considered the the majority iconic within the Fortis pieces, as well as being well-liked ready for its common structure. Want to be a Young Adult Author? First Young Adult Blog Hop starts tomorrow! Almost 1,000 followers/Birthday Bash Giveaway!